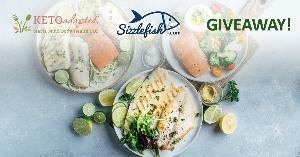 Prize: 12 Months of The Sizzlefish Prime Plus Subscription; Maria Emmerich's Comfort Foods Cookbook. Statistics: This contest was opened by 21 and entered by 4 ContestChest.com members. 19% of those who opened the contest, entered it.